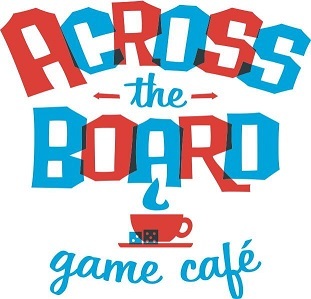 Across the Board is a licensed, full service restaurant and coffee house that provides patrons the opportunity to play our library of 900 board games. For a small fee of $6 per person you can play any game for as long as you like. Not here to play games? No problem, just enjoy our delicious menu items. We had a great night, both games that were suggested for us were great! Good game selection, good space, good food. Recommend. It's great to have places like this for winnipeg. Had an amazing time! Definitely, a place to go back to. Heard about this place many times and it was fantastic! Really cool! $6/person is a great price for 3 hours of fun!! Although the food and drinks are very expensive. Large variety of games, just really noisy to hear your friends when they have to read something out loud.. Genius pure genius! Family friendly, great date night, wonderful for social groups and birthday parties! Made an excellent birthday gift! Staff were all very friendly and helpful, food was excellent. Game selection is incredible! Great food and games. Service was really good in a friendly atmosphere. Service was not good. No one came to take our order for at least an hour. We finally had to call someone over. Games were good, but game master didn’t help us very much. Food was not worth the pricing, if people are eating food entry fee should be waived. Otherwise it’s lots of fun! My family and I went here for my 40th birthday. We had a fantastic time. It was perfect for spending good family time together away from technology. As soon as we left, we started to talk about the next time we would come back. My son wanted to come back the next day. I have already recommended this place to my colleagues. We will see you soon! We had a lot of fun. The suggestions for games from the Games Master were great and it was very helpful having someone help us out if we needed it. It was very busy and loud but not too loud that we couldn't hear one another at the table. Reservations necessary for a Friday night. Will come back again for sure. Excellent family fun on a Sunday evening! Selection of games is unbeatable and it was hours of fun. We enjoyed our visit, I think I have been able to remind my husband how fun board games are. A large variety game selection to choose from and amazing services in explaining each game and how to play them. Will definitely be back for more. We loved our fun day at Across the Board, the onmy feed back I have is it would be great to have a little more sound suppression. Took my 7th graders for the afternoon. Staff, atmosphere and food was exceptional. My students absolutely loved it- what a way to end the week. Highly recommend this place!!! Thanks .. we had a fun afternoon with our grandkids!